I spent last Friday to Sunday at the LUNGevity (lung cancer) HOPE Summit. I bet you weren’t expecting to see “Hope” and “lung cancer” in the same sentence, but there you go. That’s why we needed a summit, and it hit the spot. 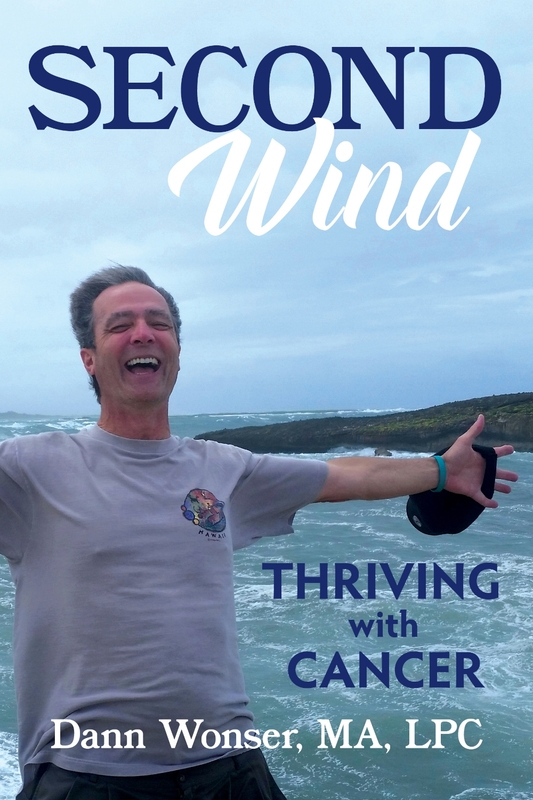 I got fired up hearing about new research and treatments that are changing so rapidly that even oncologists are having a hard time keeping up. It gave me hope to meet 150 survivors, most of whom are Stage IV (spread beyond the lungs). It inspired me to find out how many of my peers are going on TV, writing articles, and organizing walks. But that’s not my story. I thought it would be more fun to tell you about our little disaster. In a conference organized down to the minute, a tad bit of chaos erupted. A local restaurant agreed to host us for a dinner away from our hotel. We loaded into five limo buses, with me on lucky #5. Did I say local restaurant? The ride was so long that the natives started getting a little restless. Questions about where we were going and what state we were in popped up. Eventually, our bus pulled off the freeway. Moving slowly through an intersection, the bus weaved back and forth indecisively between lanes. The driver turned, stopped in the middle of the intersection, BACKED UP, and got back on the freeway in the other direction. About that time, somebody spotted the driver Googling the restaurant address. The driver acted like he didn’t hear them. It gets better. Bus alarms started going off, and the bus started sputtering. Fortunately, those noises were drowned out by the backseat drivers. The front seat driver got more indecisive, weaving between lanes, taking no head of several people commanding him to pull over. A woman in a convertible passed us, first using her turn signals, and then using a hand signal not found in the Driver’s Ed book. Katie, who has organized just about everything at LUNGevity since it has been around, got resourceful. She called the bus company, who called the driver. Problem solved? Surely you know where this is going. The driver wouldn’t answer his phone. You would think this would be the time things would get more tense, wouldn’t you? HA! You don’t know my peeps! This isn’t even a PIMPLE on a problem. Cancer this big, bus problem this big. Ya gotta love the perspective. This is when the laughter started! There was, however, one person who began having panic attack symptoms. She was flooded with offers to help. “I’ve got anti-anxiety medication of you need it.” “Would an antacid help?” “I’ve got just about any kind of narcotic that you might need. Name it.” As the panic symptoms start to fade, we decide that we had an entire pharmacy available on this bus, which makes us laugh even more. This isn’t a disaster, it’s an adventure! Sputtering up a hill at half speed, the bus finally pulled off at an exit. The driver called his bus company and started talking in Spanish to his boss. This is great! Six backseat drivers, and the driver doesn’t understand any of them! Making the most of the situation, a lot of us get off the bus and admire the Camp Marcy (wherever that is) scenery. Someone suggests “I survived the bus” tee shirts, which evolves into “I survived lung cancer the bus.” At this point people are taking pictures of other people taking pictures, because everybody wants to remember this. Finally, the bus company shows up… in cars. They offer to take some people in the cars while we wait for the next bus. We’re all hungry, and maybe a wee bit thirsty, but nobody wants to go. Through this “tragedy,” new bonds have been formed. This busload of strangers has become a tight group that didn’t want to be broken up. Finally, a few reluctantly get into the cars, just as the next bus arrives. We all arrive substantially later than planned. The owners of The Old Angler’s Inn, who have graciously hosted this event, extend their hospitality even more by keeping their doors open until we have all been well fed and plied with alcohol. So this is what I love about this group. Every person was focused on what they could get out of the moment, not on what went wrong. A potentially ruined evening turns into one of the highlights of the weekend. Warm friendships are forged over events that would sour the entire weekend for people who aren’t blessed with the gift of perspective. I recently saw someone’s blog post that said, “If cancer is a gift, can I return it?” Sure I’d like to return my gift, now that I’ve had it for a while. But this little disaster, and these great people, reminded me what a gift it has been. Here’s to the gifts in your life, whatever they may be.